Magnesium – The greatest mineral you probably lack! The list above may sound crazy, but that is how serious this problem is Getting enough Magnesium is very easy to do with diet and can also be supplemented very easily with little cost. How do I know I am Magnesium deficient? Well if you have any of the symptoms listed above, magnesium deficiency is probably a contributing cause. However, chances are if you have been eating the Western diet all your life, you are probably magnesium deficient. Best way to check whether you are deficient, is to run your average weekly foods through a program like FitDay and determine your average weekly Magnesium intake. The recommended daily Magnesium intake is approximately 320mg for Females and 420mg for Males. However I personally have about 600mg. The reason for this is that I also love my Calcium. I love to drink milk and eat cheese, and also enjoy the fat-loss benefits of calcium. However, having a low Magnesium to Calcium ratio, has adverse effects in regards to stress and therefore cortisol. By balancing the Magnesium to Calcium ratio with extra Magnesium, I help mitigate these effects. For equilibrium, the body needs a 2:1 ratio of calcium to magnesium. I take about 1000mg of calcium a day so 500-600mg of Magnesium is optimal. How do I get sufficient Magnesium? High Sources – Nuts and Seeds (Almonds, Pumpkin Seeds etc.) and Cocoa! If like me you don’t like fish, or aren’t really into eating lots of nuts and seeds, Magnesium supplementation is very easy and cheap. 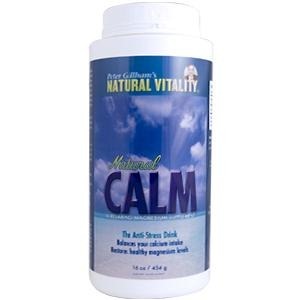 My product of choice is a Magnesium Citrate supplement called Natural Calm. It is only about $20 from iHerb (get $5 off your first order from iHerb by using coupon code KOS516) and that will last you about 2-3months. It relaxes my muscles after a hard workout at the gym and generally gives me an incredible nights sleep. Only problem is, that it tastes like crap (to me anyway) but you can get past that. Side Note: Steer clear from mixed Calcium/Magnesium/Zinc supplements. The main reasons being that, the magnesium is mostly included in these supplements to counteract the stool hardening effects of calcium, and is often found in Magnesium oxide form which is hardly absorbed in the system. The second reason being that Calcium/Magnesium/Zinc all fight for absorption in the stomach and can overload the protein transport if you have them at the same time. Take a teaspoon before you go to bed. Increased by half a teaspoon until you reach about 500mg Magnesium or until your stool gets loose (dial it back if that happens). Simple. Overall I recommend anyone who is serious about there health and the health of there families to consider upping there Magnesium levels. The costs are minimal, but the benefits are great, and that is what is most important. What do you guys think? Any preference in supplements? Any Magnesium success stories? Comment below! Pure Encapsulations brand Magnesium Glycinate doesn’t loosen the stool and this brand has no stearates added. I keep CALM on hand too because I like a little bit of stool loosening now and then, but I really like the immediate effect for a bedtime calming. I’ve tried all the CALM flavors. Lemon is my favorite. Raspberry lemon is the most sweet. The non-flavored original is the most easy to mix into fruit juice. When I went dairy free I reduced my intake of mag supplement, but I still take some. My mother has experienced that she must take calcium early in the day so it doesn’t interfere with sleep, and take magnesium in the evening. I will be taking my magnesium in the evening with my zinc. Magnesium Glycinate is another great chelated form of Magnesium and is therefore also absorbed much more than magnesium oxides. It’s great that you lowered your magnesium to adjust for the lower calcium. Just make sure your calcium levels arnt too low! Remember its all about balance! Your mother is right about Calcium interfering with sleep as it is known to stimulate nerve excitation and adrenaline secretion and response. Try spacing your Zinc and Magnesium about half an hour apart to maximize absorption. I’ve been looking at supplementing with Vit D and magnesium. I’m not up to speed with the different sorts of Mg…. could you advise as to which one I should be taking for general health, although a little bit of stool loosening wouldn’t go astray either. I’m pretty sure I get enough calcium as I still have dairy everyday. Should I try (can you even get..) a Vit D / Mg combo or just go individual?? Just read you post on piggy flu / Vit D…. my hubby has just spent the past 5 days at home in bed with what we think is Swine flu. It has hit him like a truck!! I’m sure you’ve guessed now that he ISN’T primal. I am probably 70/30 (was more strict in the first 2 months of PB but have relaxed a little now) primal, in a good spot wrt no digestive issues anymore. Don’t have a weight issue (lost 12kg with CW, 3kg with PB) either. Oh while I’m pratteling on here…… have you come across an Oz version of Primal Flora??? Blackmores have Forbiotics but it only has the reuteri strain rather than the 3 that Primal Flora has. Seems OK from what I’ve read as it is supposed to support / encourage the other strains to grow anyway. Tks in advance for some advice. My son and I are both quite low on magnesium, and have had the best luck using transdermal magnesium-no risk of exceeding bowel tolerance for him (which is a nice way of saying I dont have to worry about mag-induced diarrhea clean-up), and it’s one less pill for me to swallow. Either magnesium “oil” (I use Ancient Minerals brand) or epsom salts mixed with a heavy lotion will work. The magnesium ‘oil’ is quite drying, so following up with a good moisturizing oil/lotion is a necessity. Thank you Rob for a pretty comprehensive look at the benefit of supplementing with magnesium! I have just placed my iherb order using the coupon code you provided (thanks for that) and am eagerly awaiting Mg and some Now Foods Super Enzymes. I’ve been supplementing magnesium for a while now, but I find conflicting info on calcium/magnesium. I don’t drink milk, but I do eat some cheese and yogurt every now and then. What’s your take on the calcium? Should I supplement that too, or is what I’m getting out of the dairy sufficient? I used to supplement calcium but have stopped. The fact is, if you have your Vitamin D levels in order and magnesium in check, you should be getting enough calcium from your diet. Your calcium requirements drop dramatically if you have adequate vitamin D in your system. Have more yogurt, green leafy veges, and try some kefir. Thanks for your site. I’ve just discovered it today, and thought I’d add a case study for magnesium. About 6 weeks ago, I started Tim Ferriss’s 4 Hour Body regime. This was as an experiment. I’m going to start a paleo regime in another 2 weeks’ time, also as a bit of experimentation. I’m not a ‘normal’ 44 year old woman. I’m very fit and quite muscular, with low body fat due to years of pump, running, yoga and even climbing halfway up Mt Everest. Needless to say, I have a healthy diet. However, I’ve had a lifelong problem with constipation. When I went to Nepal, whilst others were battling with Dehli belly, I needed to buy laxatives. Even drinking the urine-coloured Kathmandu water didn’t shift my bowels. Any travelling, stress or slight change in my morning routine results in constipation – no matter how much fruit, vegetables, water and exercise I take. After going on the 4 Hr Body regime, you guessed it…. two weeks of diabolical constipation. I searched for answers in online forums and saw that magnesium was recommended. So I read up on it and took three capsules before bed. These contain about 197g of magnesium. I’ve been taking two capsules every night, ever since. I’m sleeping great and am happy to report I’m ‘going’ well. I suspect I’ve probably had a magnesium deficiency for my entire life! Magnesium is amazing and I too use the “CALM” 19.95 at local natural food and drugstore. I started giving it to my children and have noticed how it has helped them in so many ways. They enjoy the orange and lemon flavor. For myself it’s relaxing and my nerves are at peace instantly.